Improving the suitability, supply and provision of housing infrastructure is needed to address current issues of affordability and access. In particular, the current severe shortage of social and affordable housing means that governments and others are struggling to find the resources to meet needs and demands. 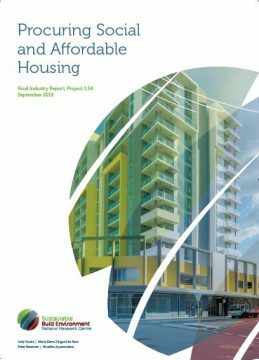 Recent SBEnrc research focussed on how access to safe and secure housing delivers a considerable positive impact to individuals, including improved health and well-being, better access to employment, and stronger communities. This in turn delivers broader productivity benefits to society. Improving access to housing and associated support services needs to be addressed through new and innovative approaches. Better aligning social benefits with delivery through innovative procurement strategies will be examined in this research, to address the balance between objectives along the housing supply chain. A review of literature to address issues associated with changing housing typologies and demographics in Australian states, especially Western Australia (WA), Queensland (Qld) and New South Wales (NSW). A summary of Australian procurement approaches by jurisdiction. This will initially focus on WA, Qld and NSW but may be extended to Victoria and South Australia. A summary of of relevant international procurement approaches, with the primary focus on current research in Canada, the USA and the UK. A limited review of European Union countries may be undertaken, pending resources. The development of a set of criteria for analysis of social value procurement approaches. A 360 degree survey of social and affordable housing stakeholders (including heads of government delivery agencies, developers, architects, planners, financiers and service providers) will inform this, with recommendations to ‘find-the-best-fit’ in optimising the investment risk equation and aligning the benefits. 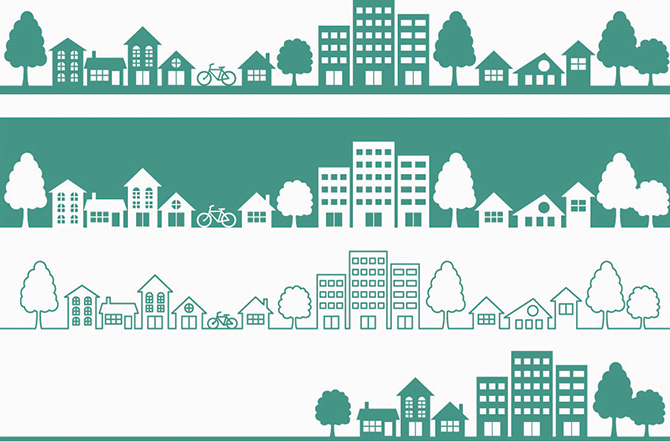 An understanding of how housing needs will change over the next 20 years, identifying key challenges, the changing typologies of housing, such as villages and self-sustainability, and the relationship to other social measures, for example security, health and connectedness. Better mechanisms to address/deliver social value whilst at the same time addressing risk profiles for those delivering both asset and service-based outcomes, through comparing, contrasting and reviewing different forms of current procurement approaches to social housing from the viewpoint of various stakeholders and across various jurisdictions. Recommendations on how to optimise procurement frameworks to highlight best-practice delivery of social housing and access to affordable housing; for example through improved procurement efficiency which provides clarity, consistency and transparency around social value delivery. Changing Demographics and Housing Typologies: Addressing Social and Affordable Housing in Australia, Joint Asia-Pacific Network for Housing Research and Australian Housing Research Conference, 6-8 June 2018 (1Mb, June 2018).